Get Out Of Your Feelings! I posted the above note on Instagram a few days ago because it was what came to my mind as I sorted through my own thoughts and feelings. It's like I began to have a conversation with myself (which I do often...lol). 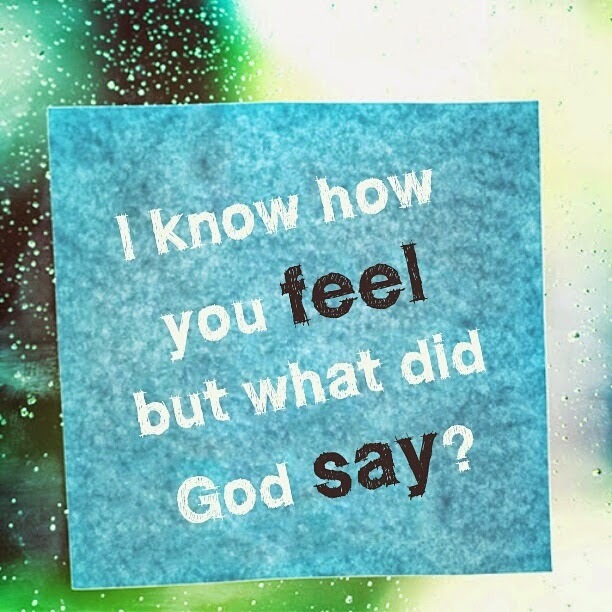 I said to myself, "I know how you feel but what did God say?" Talk about a self check! It's important to remember that we can't be led by our feelings because feelings are fickle...they change with the wind. Feelings don't need to be ignored but they can't be what drives us. Our life choices must be made based on God's word because his word will never lead us wrong and it never changes. Anyone who is led by their feelings will end up either more hurt or regretting their decisions. Feelings are based on your perception of the truth...not truth itself. Now, there are times when your perception is the truth and your feelings are valid but there are also times when how you feel is far from from the truth. Here's an example: someone doesn't speak to you and you get mad because you "feel" like they were being fake or shady when the truth is that they just didn't see you. Your feelings were the result of your flawed perception. See how feelings can be so misleading? Furthermore, our truth is not always God's truth. Your feelings about a situation can be valid and your actions justified according to the world's standards but God's word says forgive those who hurt you, love your enemies, turn the other cheek, etc... This is why we as believers must be led by the spirit of God! How much better would our lives be if we truly were guided by the word of God? I'm certain that we would make better choices in our relationships, how we parent our children, our finances, what we say, and even what we post on social media...lol. So umm, about that decision you were about to make out of anger, hurt, or disappointment...what did God say? Did you ask him? Did you open your bible? Probably not. Never make permanent decisions on temporary feelings. Feel what you feel but also pray and seek God's guidance. God doesn't just want us to seek him after the fact. He wants to be included from the start. Believe it or not, God is concerned with the quality of our lives. Our faith must supersede our feelings and we must be led by the word of God. This past Friday my husband and I celebrated five years of marriage! Woohoo! I am so grateful to God because in this day in time, marriages aren't lasting a year. 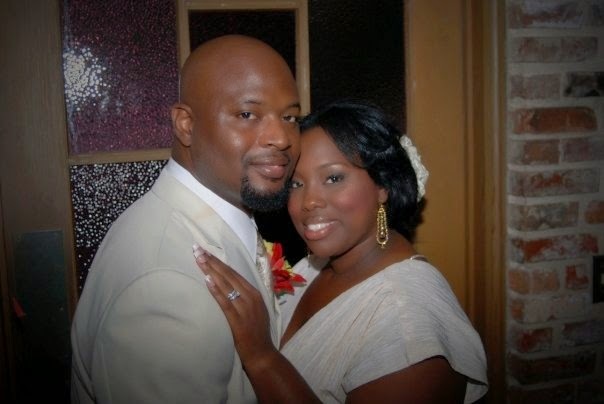 As I reflect on my five years of marriage, I see God's favor and restoration. I wish I could tell you that the past five years have been nothing but joy but that would be a lie. My journey has been full of ups and downs, laughing and crying, faith and doubt. I think the biggest misconception we have is that a good marriage is one without struggle or strain. I believe the strength of a marriage lies in the ability to stand in the midst of adversity. I celebrate the fact that my husband and I are still standing! 1. Anything with having is worth fighting for! It's just that simple. If you want your marriage to work, you have to give it your all. You have to be willing to fight together and not against each other. Remember...you are on the same team! 2. Choose your battles! Everything is not worth fighting over. Some stuff your spouse does just has to be ignored for the sake of peace (and your own sanity). It took me a long time to realize this! I could've saved myself a lot of unnecessary stress and anger. 3. It's God's marriage, not yours! We often make decisions about our marriage without consulting the one who ordained the marriage...God! What does God want? What does God say about the situation? God is the third stand to your marriage and the bible lets us know that a three strand cord is not easily broken. You have to give your marriage over to God completely because he knows how to make it work! I truly believe the divorce rate in America is as high as it is because we give up too easily. We bail as soon as things get uncomfortable. We live in a generation of convenience... We want everything to feel good to us. We also live in a "right now" generation so we don't know how to hold on during difficult times. Marriage requires both patience and forgiveness. If you truly love your spouse the way God defines love then your love won't fail or quit. True love covers a multitude of wrongs and forgives easily. It's not always easy to love unconditionally but it's necessary. When you marry, you make a covenant to love! Uphold your vow! You can't just love when it's easy but also when it hurts. Love never loses hope!